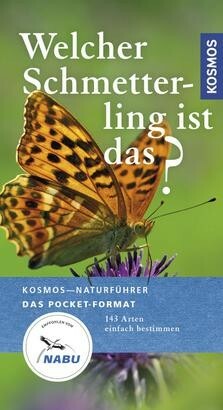 Product information "Welcher Schmetterling ist das?" This practical nature field guide in the handy pocket size format shows portraits of 140 butterflies. All species are presented with brilliant photos. The proven colour-code helps the reader identify quickly the species he is looking for. As an extra all typical characteristics are shown at a glance.